Couple of months back, Luke brought Nat and me to one of the oldest vegetarian restaurants in Singapore along Kitchener Road. 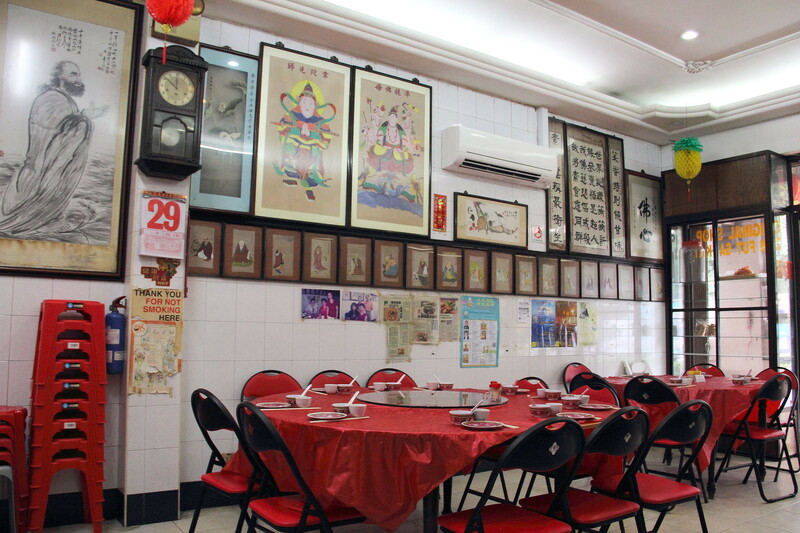 Stepping into the nostalgic Zen Fut Sai Kai Vegetarian Restaurant is like being transformed into the early 60s. The restaurant is quite a museum itself with antique items being hung or placed around varies section of the restaurant. Interestingly Achar was served upon being seated. I am not too sure whether this is complimentary but I suspect not just as any other Chinese restaurant. Nevertheless, they were quite appetizing whetting up the appetite. We started with the Sap Kum Sugar Cane Flower Soup ($8). Actually I am not sure what it is. 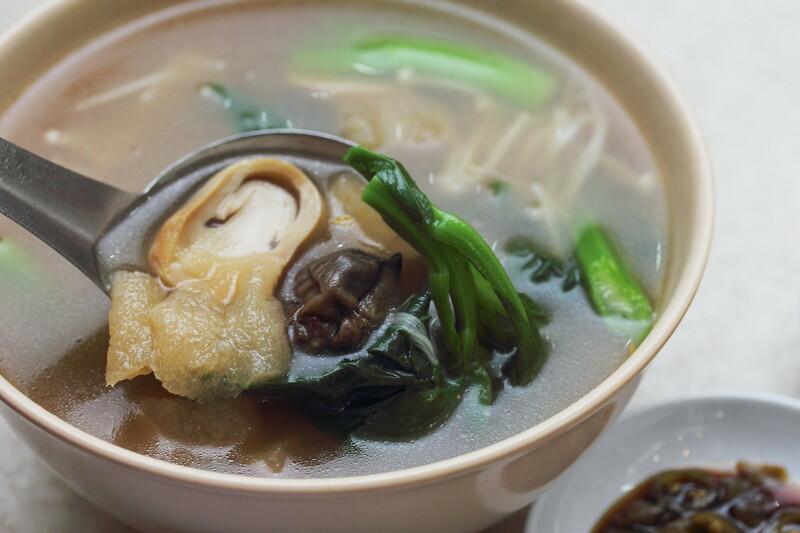 The soup is not overly salted, light and with the subtle sweetness of the vegetable coming through. Next we tried the Stir Fried Kai Lan with Beancurd Ball ($9). 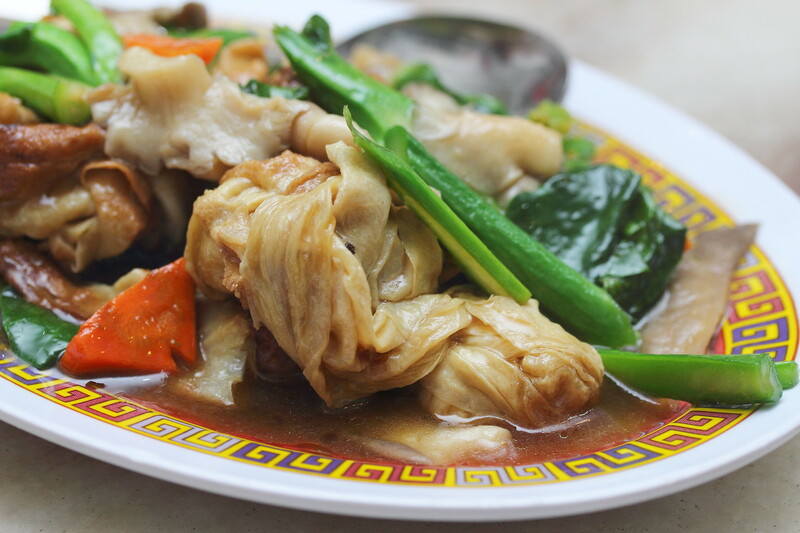 While I like the crunchy greens, the star in the dish has to be the delectable beancurd skin that is rolled up into a ball shape. 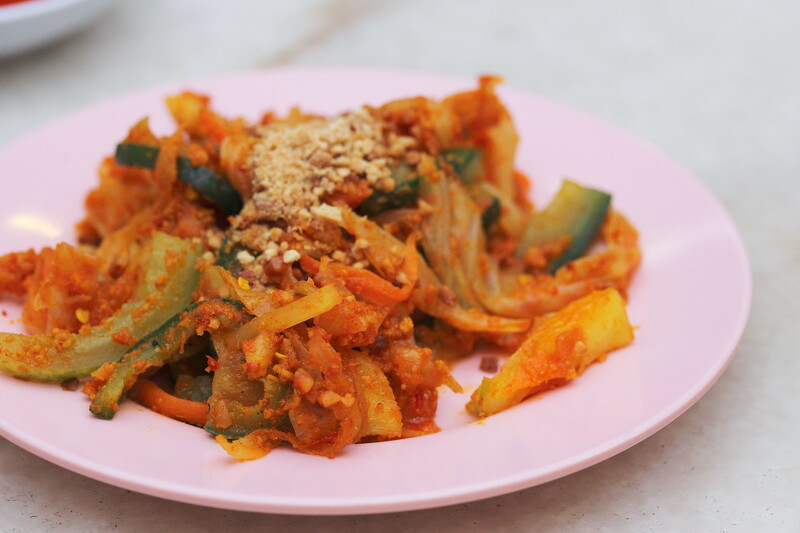 A homely and comforting dish that is well executed. Thumbs up. 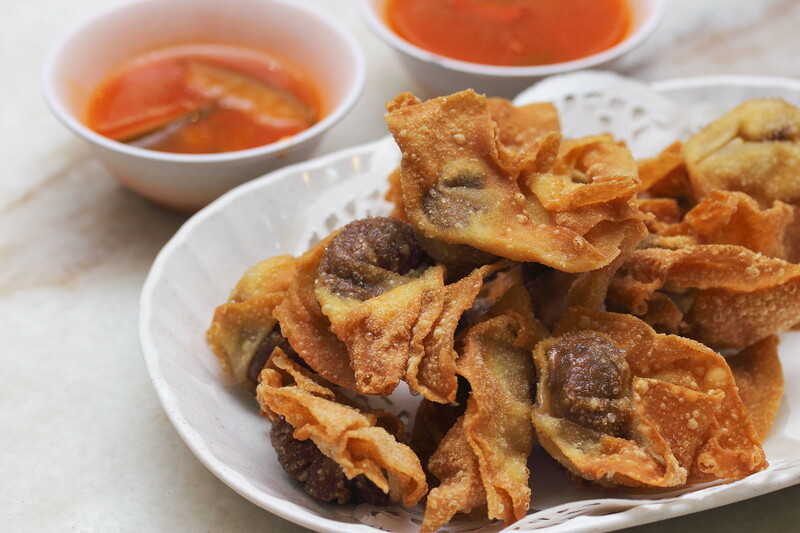 For a more crispy bite, the Fried Dumpling will delight you. These delightful bites are paired with a sweet and sour sauce giving it an additional lift in flavour. 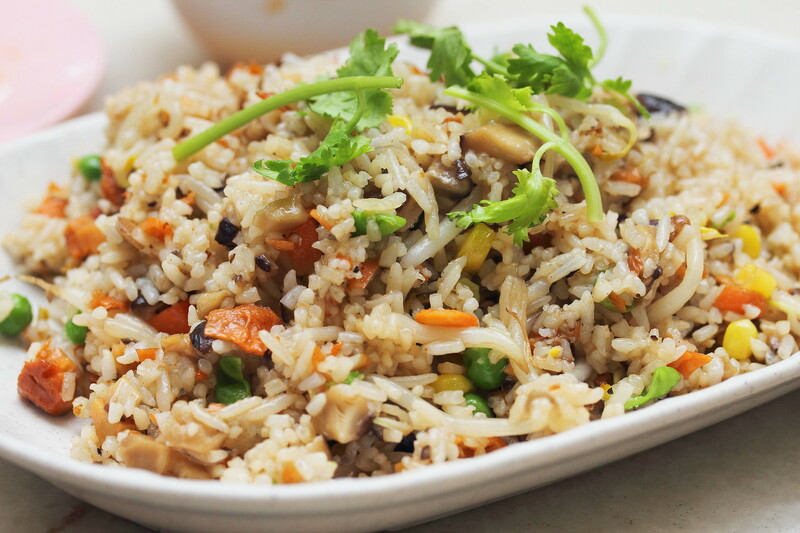 For a more substantial meal, the Yong Chow Fried Rice ($6) is a good option at Zen Fut Sai Kai. The rice was fried to a nice wok hei fragrant with lovely grainy bites. I am quite surprise by the quality and standard of the food serve by Zen Fut Sai Kai. I have to thank Luke for introducing and bringing me to the restaurant. Indeed a guru of the vegetarian scene in Singapore. Heh. Coincidence! My Brownice entry is coming out this Sat, and Zen Fut in 2 weeks too. My brownice post already out. We took so long to post this. Must have taken so long because you were both lost for words about how good it was right? Haha. Seriously, thanks for posting these vegetarian reviews guys, really appreciated! hahahaha ya too long until I couldn't really remember the experience. Thank you for introducing the place.